If you are an Amazon FBA Private Label seller or e-commerce seller then this is the podcast for you. Talking all things Amazon FBA, private labeling, entrepreneurship, and business. Get the latest tips, tricks, information, and advice to get your Amazon private label business started and on the way to massive success! Subscribe and leave a review today! 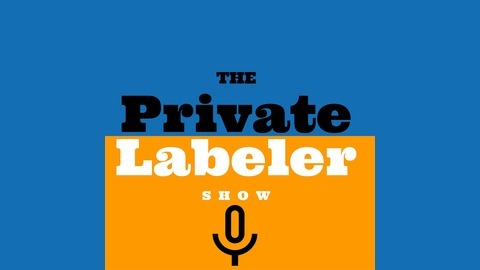 Visit PrivateLabelershow.com Amazon FBA Podcast. 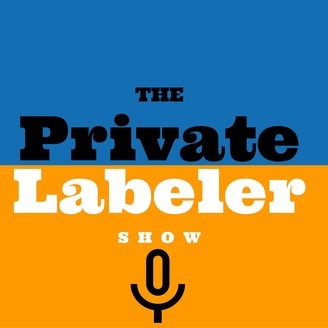 Welcome To Episode #122 of the Amazon FBA Private Label Show Podcast! In this episode I talk with Michelle Barnum Smith about using chatbots with ManyChat to launch and rank your products on Amazon. Selling on Amazon has become wildly competitive lately as seller have become smarter and more sophisticated. Those Amazon sellers that are building Manychat audiences are ahead of the curve. Imagine being able to quickly build an audience that you can easily launch products to and get ranked right away. Then imagine having your chatbots working to follow up with customers to help get your reviews and also cross promote your other products. Sellers that are setting up Amazon chatbots using ManyChat are reaping the rewards right now all while this happens on autopilot and even while they sleep. It's a game changer and we all need to get serious about building our Amazon chatbot assets. Facebook Messenger open rates are nearly 90%!! Not a member of the Facebook Mastermind group yet? If you haven't yet watched my video "How To Find A Product To Sell In Minutes" then please do that as well. For all other resources and tools that I use in my Amazon business please see the resources link. If you felt you got any value out of this podcast, then please support me with an iTunes review. It's simple to do! Just click here to head to iTunes and leave an honest rating and review of the podcast. Every review helps!